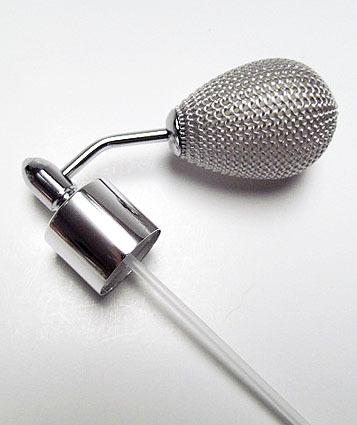 Perfume squeeze bulb sprayer for perfumes and colognes. Nickel plated metal sheath and brass spray top with arm. Screw on for neck size GCMI 18/415. Squeeze bulb made with special anti dissolved rubber and fabric weaved. Plastic tube included. 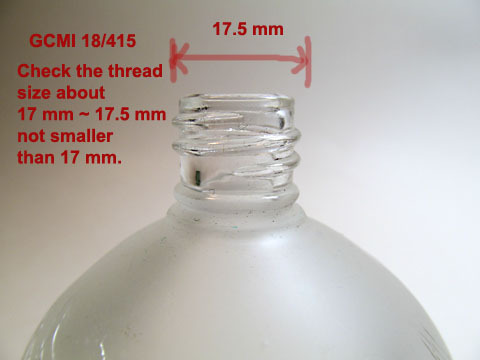 Bulb size: Length 45 mm x 31 mm ( diameter on big end) and 9 mm (diameter on small end). Please also See detailed image or click to zoom the picture, you can see more pictures and thread detail.